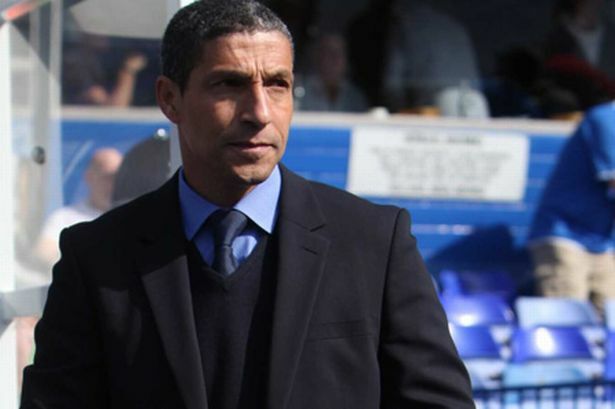 Chris Hughton thinks next season’s Championship is going to be even tougher. So his Birmingham City squad needs the quality and depth to cope – and compete. Blues used fewer players than anyone in the league during the season that has just ended – and had to cope with the most games. They slogged through 62 fixtures, due to the Europa League involvement and an extended FA Cup run. That burden will be eased somewhat for 2012-13, but the expectations of a promotion push will doubtless remain. So that’s why Blues have to beef up their current squad – which has a threadbare look at the moment. Last season’s loanees Boaz Myhill, Erik Huseklepp, Guirane N’Daw, Peter Ramage and Andros Townsend have all returned to their parent clubs. Caleb Folan and Cian Hughton were not re-engaged after their short-term deals. And although goalkeeper Ben Foster returns to Blues from his loan at neighbours West Brom, the futures of out of contract Stephen Carr, Colin Doyle and Jake Jervis are all in doubt. So Blues senior squad is currently 17-strong, including Jack Butland and Akwasi Asante. “I think if anything the Championship will be tougher next year,” said Hughton. “You’ve got three teams who have come down from the Premier League who will all be desperate and will all work hard to go straight back up again . “Even Blackburn, with the problems they’ve had, they desperately don’t want to have another season outside of the Premier League. “Wolves, I don’t see them changing the squad, they’ll have a real concerted effort to come straight back up again and Bolton, I don’t see them changing much either. “And that’s with Sheffield Wednesday and Charlton, who I think will add to their squads. “So I think the Championship will be even tougher. I think it will be more difficult, not only for the likes of ourselves but other teams too. Meanwhile, Birmingham City Ladies have designated tonight (May 31) as ‘Thank You Thursday’. The women are in action again for the first time since lifting the FA Cup. Chelsea – the side Blues Ladies defeated on penalties in the final – are the visitors to Stratford Town’s DCS Stadium for an FA Women’s Super League fixture (7.45pm). In recognition of the team’s historic achievement, to inspire the ladies and show gratitude for the backing they have had, admission is free for everyone. There will also be opportunities to have photographs taken with the FA Cup. Blues Ladies are second in the league and have yet to be beaten. They won the FA Cup for the first time in their 44-year history on Saturday at Ashton Gate. After a 2-2 draw, Blues triumphed 3-2 in a dramatic penalty shoot-out. Stratford’s stadium is at Knights Lane, Tiddington, CV37 7BZ.